All homes currently listed for sale in the zip code 92606 as of 04/19/2019 are shown below. You can change the search criteria at any time by pressing the 'Change Search' button below. "This is a rare home, a once in a lifetime opportunity. At 3646 sq. ft of living space (one of the largest in Westpark), this home is ideally located on a quiet inside cul-de-sac in sought-after Trieste. Lush lawns and an extra-long and wide driveway (for 4 cars) greet you on your drive up to the home. Inside you will find upgrades everywhere - Italian marble, hardwood, granite countertops and crown molding. 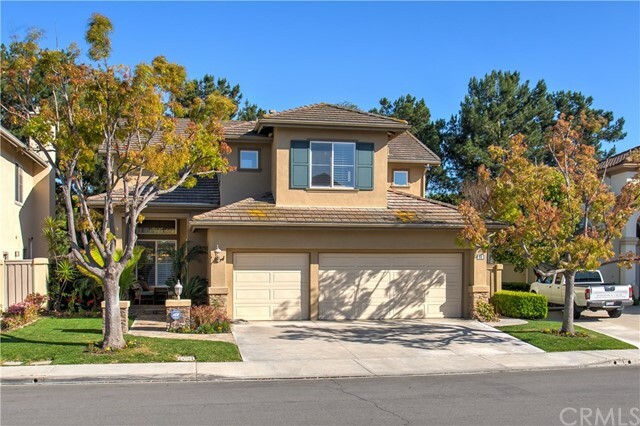 This luxury bright, airy home boasts 6 bedrooms, including dual masters (downstairs master currently used as a game room and the 6th bedroom as a bonus room), 3.5 bathrooms, formal living / dining, family room with a marble fireplace, upgraded kitchen with granite countertops, office with built-in workspace for 2, loft/ library, guest lounge and an oversized 2-car garage. The home also features ceiling fans, indoor/ outdoor speakers and two 220V outlets for your electric cars. The home sits on an expansive 7658 sq. ft lot, upgraded to satisfy the most discerning entertainer. It has a putting green, turf (to chip from), a cascading fountain, roses / fruit trees, a large BBQ with cooktop, hardscape throughout and an oversized patio. Four doors open up to the backyard for indoor-outdoor entertaining. The home is a short walk to award winning schools like Plaza Vista and resort style pools and tennis courts. 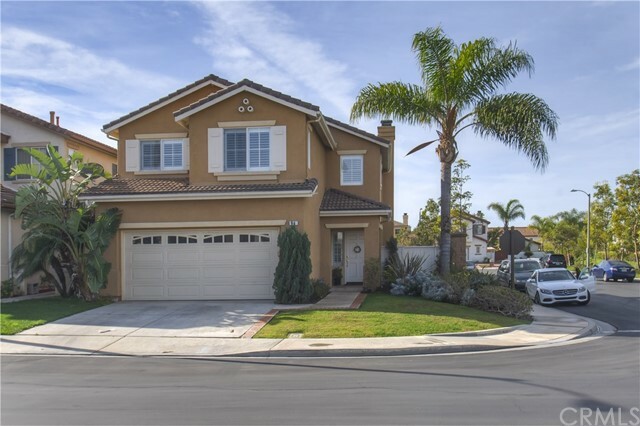 For work and shopping, this home is close to the District at Tustin Legacy, Irvine Spectrum and John Wayne Airport. 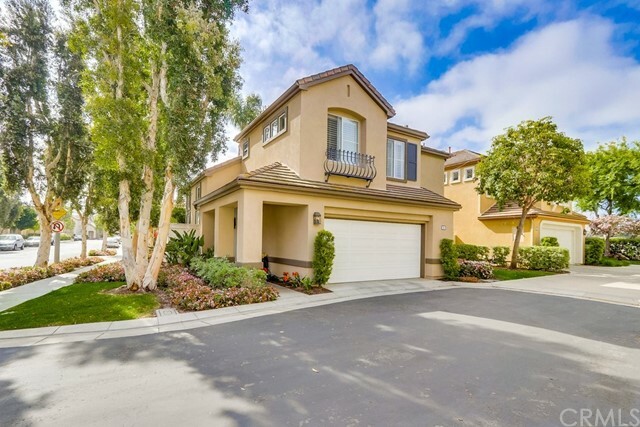 Make this your dream home in the heart of Irvine "
"Highly upgraded Cambridge executive home located in private gated Community of Harvard Square. 5 bedrooms, 2 car garage with upgraded door, garage opener & custom storage. Upgraded hard wood floors throughout downstairs. Custom crown moulding, baseboards & window sills. Recessed lighting, ceiling fans, custom paint, upgraded doors & hardware, custom window treatments & art spot lights throughout. Remodeled Gourmet/professional kitchen with pot filler at the range, custom cabinets, high-end stainless steel Thermador appliances, filtered water dispenser, center island, under cabinet lighting,Granite slab countertops, custom tiled full back splash, wine refrigerator, custom light fixtures, built-in computer desk, spacious walk-in pantry with custom barn door, cabinet lighting & microwave drawer.Family room adjacent to Kitchen features fireplace with custom doors, wall to wall, floor to ceiling built-in custom wood entertainment center. Energy-efficient Solar panels,tankless water heaters, water shut off valves at sinks & toilets.Master suite features romantic fireplace,custom woven roman shades & drapes. Remodeled bathroom with separate tub, shower & custom cabinetry with pull outs.Upstairs bedrooms feature upgraded laminated wood floors. Custom wood sliding doors to patio. Remodeled laundry room with utility sink & ample cabinets.Entertainer s delight back yard with built-in bbq & full patio cover. Custom mirrors & light fixtures in bathrooms. A true better than new home!" "PRICE IMPROVEMENT, quiet location, not near the freeway! The fully PAID for SOLAR panels installed in 2015 will provide years of electricity at minimal costs. And rarely do extraordinary homes come on the market that offer this level of space, value and efficiency. The highly sought after floor plan has open and spacious living areas, offering 4 bedrooms upstairs, 2 baths and a rare 3 car garage. Natural light streams throughout and highlights the remodeled kitchen with stainless steel appliances and a huge walk in pantry. The exterior Tex-Cote coating protects against chipping, flaking, efflorescence or peeling. Your Nest thermostat can create the perfect comfort levels for you before you arrive home. This 3 car garage has built-in cabinets and industrial strength shelving. Upstairs bedrooms are generously sized with large walk in closets, the master bedroom walk in closet has built-in organizers throughout. Inviting and peaceful is this yard with fruit trees, drought resistant shrubs and plenty of room to entertain, all located at the end of a cul-de-sac. The Harvard Square community enjoys a 3 acre park with junior Olympic size pool, basketball & volleyball courts, playground and picnic areas. 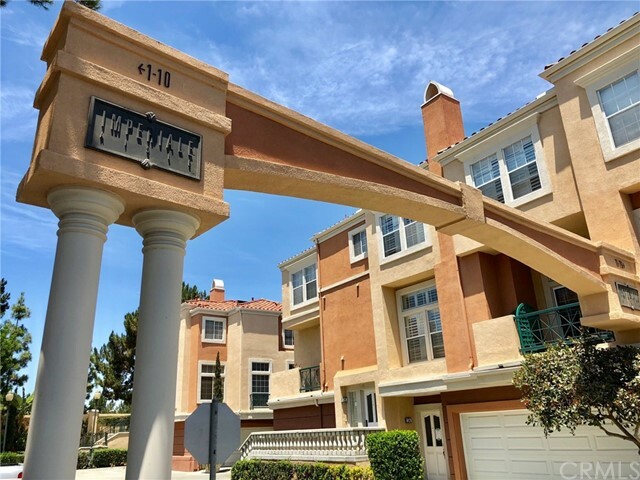 Close to award winning Irvine schools, shopping, easy access to hiking and biking trails from the mountains to the sea. An impressive house to call home. **Be sure to check out the 3D Floor plan**"
"Westpark Cortina Upgraded Home in a quiet inside tract location. Excellent curb appeal, gated courtyard entry, light and bright open floor plan and Premium wood flooring all thru out the home. High vaulted ceiling, plantation shutters, custom interior painting, crown moldings and recessed lights. Spacious kitchen, Maple cabinets with Granite counters and island, newer Stainless Steel appliances, breakfast nook, family room with built-in entertainment center, fireplace and inside laundry. Master suite with upgraded bathroom tub and tile/shower, double sink granite vanity and walk-in closet with custom organizers. Large covered patio, professionally hardscape yard with built-in outdoor island/ sink/BBQ and brick wrap around planters with mature fruit/palm trees. Desirable 3 car garage with full size driveway and plenty of storage. Walk to Plaza Vista school, Association pools, parks and City Picnic area. Close to shopping and dining, Irvine Entertainment and Business Complex and easy access to freeways and Jon Wayne Airport. Must see." "Cul-de-sac interior location, this single family detached home has great curb appeal and boasts pride of ownership- walk to award winning Plaza Vista school. Interior features high ceilings, living and dining areas, permitted room addition on first floor, upgraded kitchen adjoining family room,inside laundry room , stainless steel appliances, 3 car garage with ample storage, 4 bedrooms on second level, abundance of windows fill house with natural light, easy to maintain tile with marble inlay floors throughout first floor, hardwood floors,ceilings fans, custom cabinetry, nicely landscaped, back yard with patio, association amenities abound with large pool,spa in walking distance as well as lighted tennis courts, tot lots, parks and several shopping areas, minutes to John Wayne airport"
"Westpark Cortina Model 3 in a quiet inside tract location steps to Plaza Vista Elementary and Middle School. Home is highly upgraded with Premium Porcelain tile in family room/kitchen and Walnut wood flooring in living/dining rooms all the way to all bedrooms upstairs. High vaulted ceiling, dramatic spiral staircase, Designer drapes, newer chandeliers/light fixtures and custom fireplace /mantle. Gourmet kitchen with Maple cabinetry, granite island and counters with full backsplash. New all stainless steel appliances and custom painted interior. Extra large family room as an option from the builder or can be converted back to a full bedroom if desired as a 5th bedroom downstairs next to a full bath. A 3 car garage feature is desirable however, it can also be converted to an office or 6th bedroom as optional from the original builders floor plan. Master suite with walk-in closet, tub and shower, double sink vanity and upgraded Travertine flooring. Large spacious backyard patio, courtyard front entry, inside laundry and full size driveway. Close to the association pools, parks, tennis courts and Culver Plaza and Centerstone shopping Centers, movies, restaurants and business. Easy access to both I-405 and I-5 freeways and Irvine Spectrum Business and Entertainment Centers. Must see." "One of the nicest, remodeled homes to come on the market in Westpark, Cortina. This Plan 3 model features 3BR, 3 Full Baths & 3 Car Garage. Highly upgraded & includes builder option for expanded family room to enjoy modern living at it's finest. Flagstone walkway & stacked stone accents the dramatic entry. 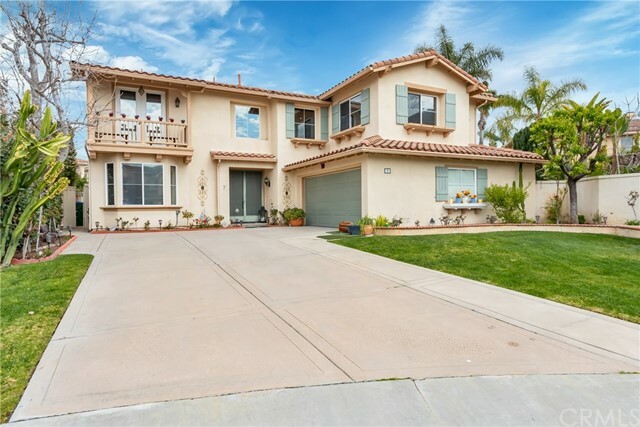 Open to the formal living & dining rooms w/cathedral ceilings & travertine flooring. Kitchen has been totally remodeled w/all white cabinets, built-in refrigerator & wine cooler, all Kitchenaid stainless steel appliances, granite counters, custom tile backsplash, garden window & center island. Expanded family room is the center of the home w/wood floors, brick fireplace & built-in media cabinet & separate work center. All baths have been completely remodeled w/the highest quality finishes incl stone showers w/mosaic accents, granite counters & custom glass enclosures. Master suite w/cathedral ceilings & incredible bath w/walk-in shower & separate soaking tub. Huge walk-in closet w/custom organizers. Extensive design features incl all plantation shutters, dual paned windows & doors, ceiling fans, wainscoting, 5 baseboards, wood floors & more. Newer HVAC system. Smart garage opener system. Inside laundry. Fantastic yard w/covered patio, firepit, built-in BBQ & sit down table. 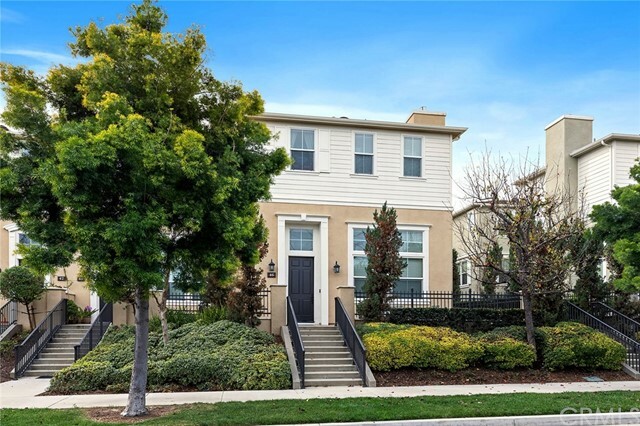 Walking distance to award winning Plaza Vista school. Everything you're looking for." "***BOOM! *** Price Reduced $55k. ABSOLUTELY DESIRABLE GATED HARVARD SQUARE COMMUNITY! 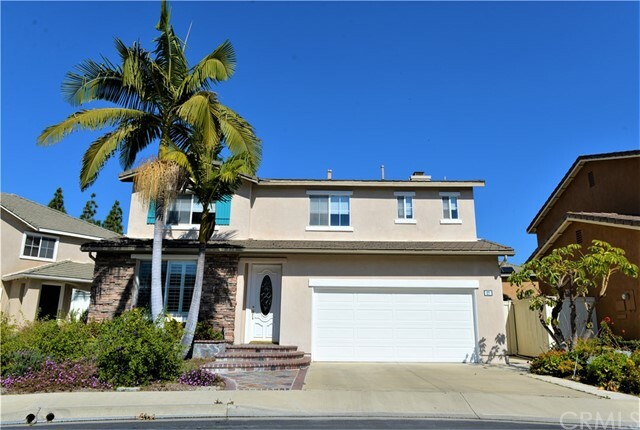 Open Floor Plan with Highly Upgraded 4 bedrooms, 2.5 baths. The original owner has put in more than $50,000 upgrades. 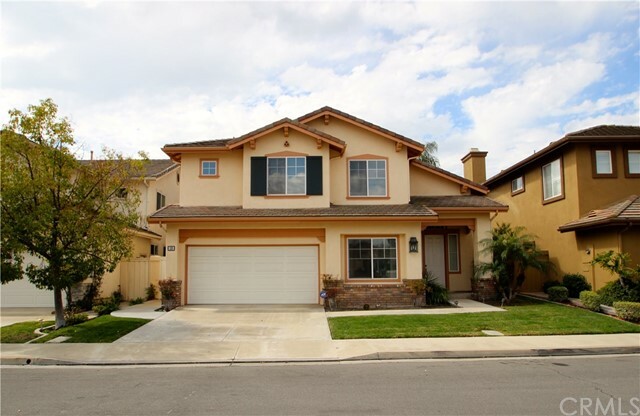 Home located in the heart of Irvine, one of the best cities to raise a family, off of Fwy 405 and Jamboree. VERY LARGE and bright home featuring tile floor throughout living room, dining area and great room for family entertainment. GOURMET kitchen with beautiful granite countertop. VERY SPACIOUS upstairs loft with built in office, great for children study area. All Bedrooms are upstairs. HUGE master suite with oversize walking closet, convenient dual sink vanity with soaking tub and shower. Separate laundry room with cabinets and w/ d hook ups. Low maintenance backyard and a very clean garage ready for your storage. There is a park and other community facilities like pool, basketball courts etc. Award winning neighborhood schools, part of Irvine Unified School District. Close to 5 Fwy and Toll road. The closest grocery stores are Trader Joe's, Smart & Final Extra! and Ralphs. Nearby coffee shops include 5 Cafe, Cafe 350 and Nrgize. Nearby restaurants include Kookie's Sandwiches, Harvard Athletic Park Snack Bar and Chronic Tacos. Home is near Harvard Square Park, College Park and Flagstone Park." "Westpark Cortina Home with an open floor plan, main floor bonus room could be a 5th bedroom. Maple kitchen cabinet, granite counters and island and breakfast nook. High ceiling in formal living and dining areas, large family room with fireplace and wood laminate / tile flooring in main floor. Master bedroom suite, walk in closet, double vanity and tub & shower feature. Private backyard with no neighbors looking down, walk to the association pools, parks, and City park. Close to Plaza Vista Elementary & Middle School, Crossroads commercial/business complex and easy access to freeways. Must see." 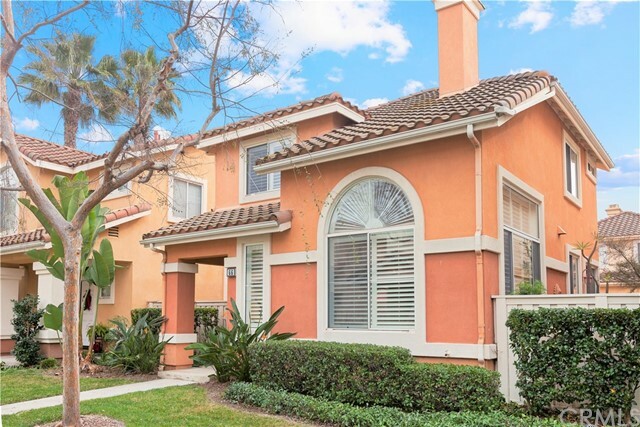 "Westpark Positano Largest Model with a large private backyard close to Plaza Vista school. Travertine flooring in main all of downstairs, Cherrywood flooring in all of upstairs, crown molding all thru out and plantation shutters in all windows. Designer drapes, custom painted interior, new double paned windows and doors and built-in entertainment center. Upgraded kitchen cabinets, Granite island & counters, Stainless Steel appliances and Epoxy painted garage flooring. Master suite with walk-in closet, double sink vanity and tub & shower bath. Custom iron/wood stairway balusters and 4th bedroom currently used as a loft/office and built-in desk/cabinetry. Close to association pools, parks, tennis courts and Culver Plaza and Center Stone. Must see." "Gated community with a great park, swimming pool. Near UC Irvine and other great schools. 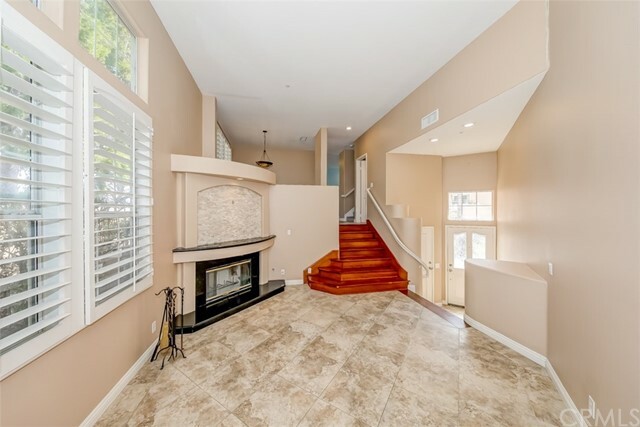 Neighborhoods: Walnut(Irvine) Complex Features: , Other Fees: 0 Sewer: Sewer Available Topography: LL"
"Completely remodeled home with high-end contemporary upgrades! Premium corner lot 5 bed / 3 bath split-level home is one block away from the highly rated College Park Elementary school. Open concept living, dining, and kitchen space has vaulted ceiling and designer lighting. Gourmet kitchen features all new Bosch appliances, custom cabinetry, marble backsplash, quartz countertop, and extra-large island. Hardwood engineered floor in whole house with extra wide 5.5 inch baseboards. All bathrooms remodeled with floor to ceiling tiles, floating vanity, chrome hardware, and waterproof flooring and wall membrane. Master bathroom features luxurious rain shower head, whirlpool jetted tub, and huge LED lighted mirror. Ground level bedroom suite has large walking shower, walking closet, and allow separate entrance for guests or mother-in-law! Enjoy fully finished attic for yoga, playroom, music, or library. Other whole house upgrades include custom modern closets, remote controlled ceiling light fans, new certified allergy/ asthma-free paint, smooth ceiling, new doors and molding, new insulation, energy efficient windows, and much more! Relax on the brand new deck and large landscaped backyard. Access to 3 pools, event house, parks, and playgrounds. Highly rated restaurants, cafes, and shops are within walking distance. Major shopping plazas and movie theatres are within 8 min drive. Too many designer upgrades in this stunning home. Must come to see for yourself!" "The BEST Home in Westpark is finally here and you ve earned the right to own it. You know what they say about location! Your gorgeous new home is located perfectly within the Westpark community next to Plaza Vista School and Plaza Park, Crossroads Shopping Center and The District. But the location is only the beginning. Once you step in your castle you ll know this is where you were meant to be. The vaulted ceilings, luxurious laminate floors, & custom fixtures magnify the beauty of this home. Enjoy your chef quality kitchen with granite counters and stainless appliances with included refrigerator. 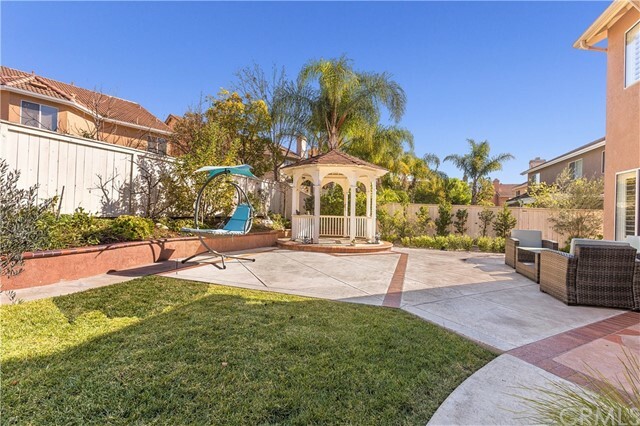 You ll love the wraparound yard with included fountain. Make your way upstairs to your luxurious master suite with high ceilings, dual sinks, and walk-in closet. Don t miss your opportunity to make this gorgeous home yours to come home to each day." 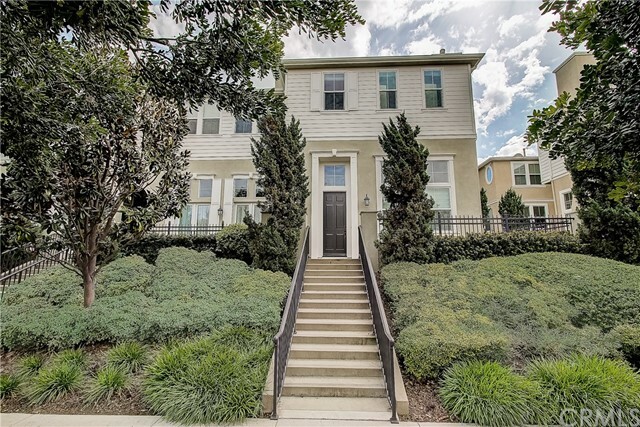 "Beautiful single family home in the gated Harvard Square community! Located on a massive corner lot, the home features an open floor plan with separate family room, living room, and dining room spaces. The entire home has been remodeled with crown moldings, all hardwood floors, granite countertops, custom cabinets, and tile in the kitchen and bathrooms. The upstairs also features a bonus area that can serve as an office, or entertainment space, along with three large bedrooms. The backyard is uniquely large, with an abundance of space for barbecues, entertainment, and more! The community features a massive central park, basketball courts, sand volleyball court, and barbecues. 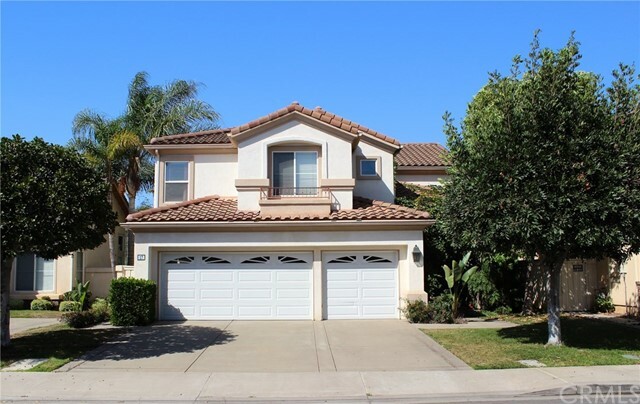 This home is located in the IUSD school district, and is located close to Mitsuwa, 99 Ranch Market, and Irvine Spectrum. Come see this home today!" 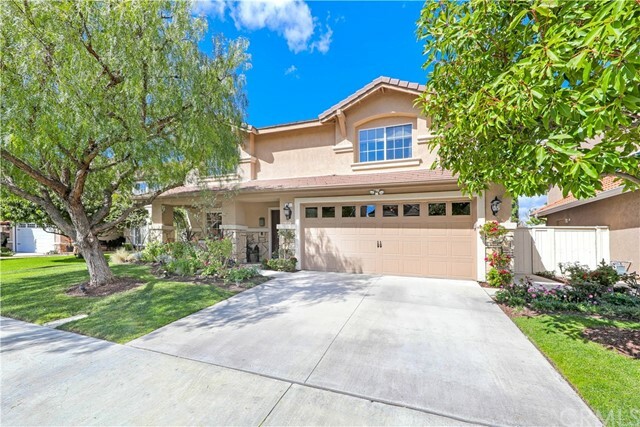 "Welcome to 46 Honey Locust, located in the quiet community of Columbus Grove, just moments from The District, walking distance to parks and playgrounds and all within the renowned Irvine Unified School District. Featuring over 2,400 square feet of living space, offering three bedrooms, two- and one-half baths, a large outdoor courtyard, and two car garage. Inside you ll find a welcoming entrance with dramatic foyer and high ceilings, Walnut wide plank wood flooring, stone fireplace, gourmet kitchen and an oversized master suite with large walk-in closet. Double French doors and large windows fill nearly every room with natural sunlight throughout the day, enjoy the resort-style amenities such as Sweet Shade Park, the outdoor fireplaces, swimming pools & spas and so much more. 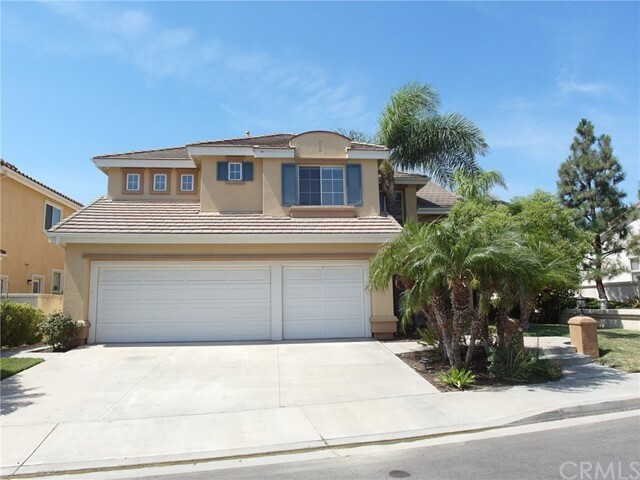 All of this and the surrounding shopping, dining and easy access to freeways and toll roads make this a must see!" 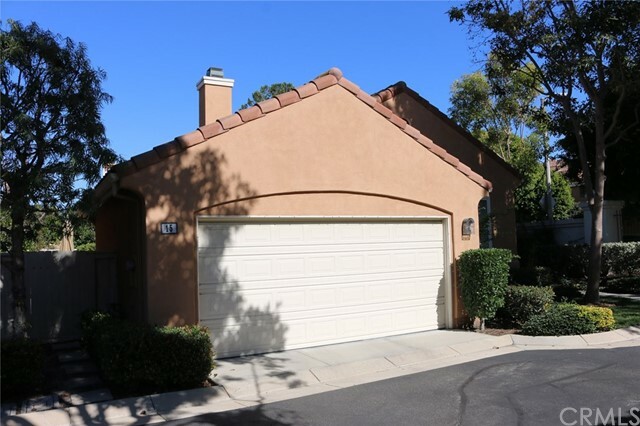 "Wonderful three bedroom home located on a tree-lined street in the quaint community of Kensington Court at Columbus Grove - a prime Irvine location. Steps to the entry lead to you to a partial wraparound patio illuminated with natural light. The grand entrance and living room have vaulted ceilings with double French doors leading to the patio. 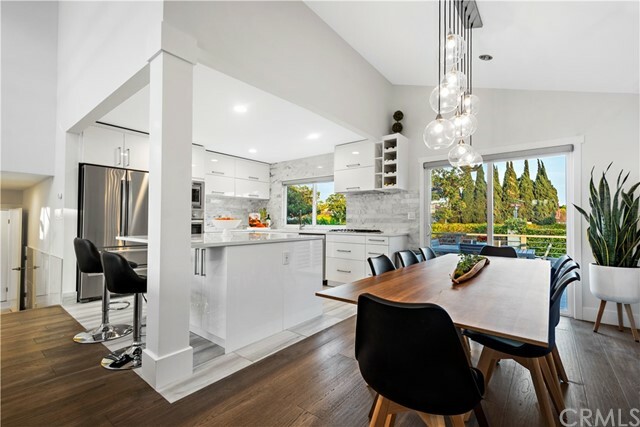 Finishing off the main level is a stunning kitchen with ample cabinet and counter space, a large dining room and family room off to the side. Chocolate maple wide-plank wood flooring blends well with the kitchen cabinetry and granite counters. The upper level consists of an oversized master suite that includes a soaking tub, separate shower and huge walk-in closet. Two generous-sized secondary bedrooms have a Jack and Jill bathroom (an en-suite for both bedrooms). Additional storage cabinets and a highly sought after dedicated laundry room finish off this level. Extensive regal crown molding and new paint on both floors. The property has two-car side-by-side parking with direct interior access. Community amenities are just steps away and include Sweet Shade Park, a resort-style lap pool, spa, play park, basketball courts and clubhouse. All of this with the added benefit of the award-winning Irvine Unified School District. In addition to all of this, the Irvine property is ideally located near to SNA, freeways, Irvine Spectrum, The District and UC Irvine. This is a must-see home." "Welcome to this beautiful 3-bedroom, 2.5 bathroom, detached single family home in the quiet Westpark neighborhood of Trovata. 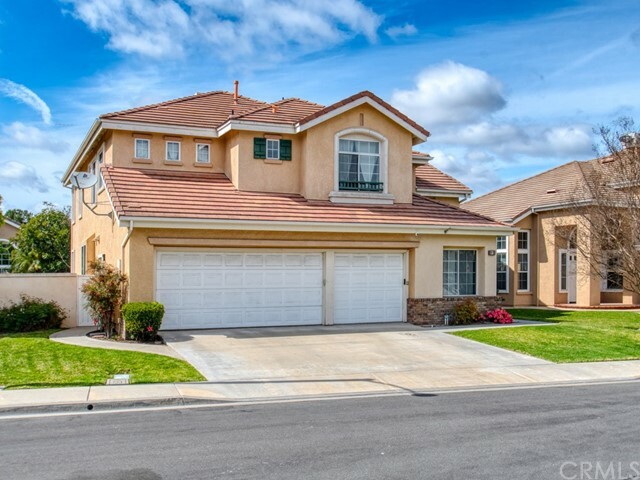 Live within walking distance to Award Winning Plaza Vista elementary school. Bright natural light shines throughout the open floor plan with cathedral ceilings above the spacious living room; enjoy a cozy fireplace, and a formal dining area leading to a large kitchen with upgraded custom Maple cabinets and recessed lighting. Beautiful custom tile in the kitchen, the bathrooms and the entryway along with gorgeous Plantation Shutters. All bedrooms are upstairs. The master suite features dual sinks, mirrored wardrobe doors and a spacious walk-in closet. Mirrored wardrobe doors in all bedrooms along with frosted glass enclosures in both tub/showers. A spacious beautifully landscaped side yard with patio and an area to BBQ. The convenient laundry area is just inside an attached 2 car garage with direct access and plenty of storage space. 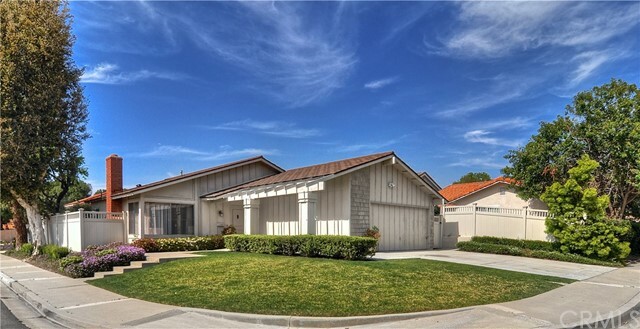 Located less than 3 miles from John Wayne Airport (SNA) and zoned for nationally acclaimed schools. Near UCI. Enjoy association pools, spas, barbecue, tennis and basketball courts, lavish greenbelts and walking paths. Low Mello Roos. You won t want to miss this opportunity!" "Charming 3 Beds + Office, 2 Bath Single Level Home in The Colony. Corner Lot Location. Entry highlights the Front Yard with a Meandering Cobblestone Pathway. Clean, Updated home Freshly Painted Throughout. Scraped Ceilings, A/C. Gas Fireplace with Wooden Mantle, Tile Hearth. Master Bath has Open Walk-In Shower with Rainfall Shower Head. Backyard has Strong, Durable Vinyl Fencing. Close to Homeowner's Association Park, Tennis Court, Clubhouse, Basketball Court, Volleyball Court, and Swimming Pool. Convenient to nearby shopping including Trader Joe's, Starbucks, Walnut Village Shopping Center and College Park Award-Winning Distinguished Elementary School." "Investor Alert. Seller to rent back for one year. 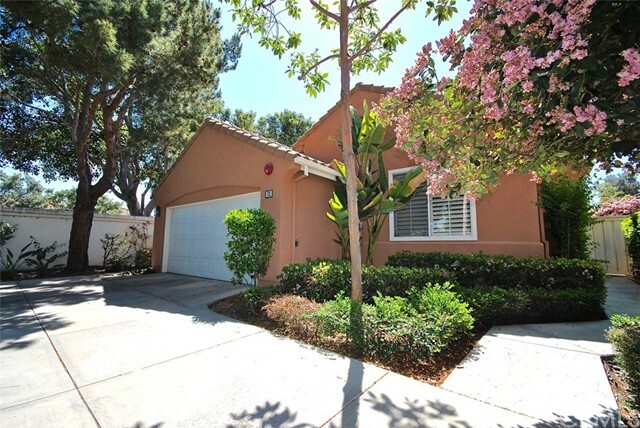 Beautiful 3BR, 2BA rare detached single level home in highly desirable quite cul-de-sac location of Westpark, Irvine. Meticulously maintained and upgraded throughout the years. Improvements include, LED lighting, Travertine flooring, granite countertops, stainless steel appliances and upgraded cozy living room gas fireplace. Private yard on the side of the house in addition to the large backyard with water fountain and fruit trees, making it a wonderful spot for entertaining friends and family. The 2 car attached garage with built-in organizer offers extra storage space. The association amenities include, 2 swimming pools, spas, tennis courts, basketball, parks and greenbelts. 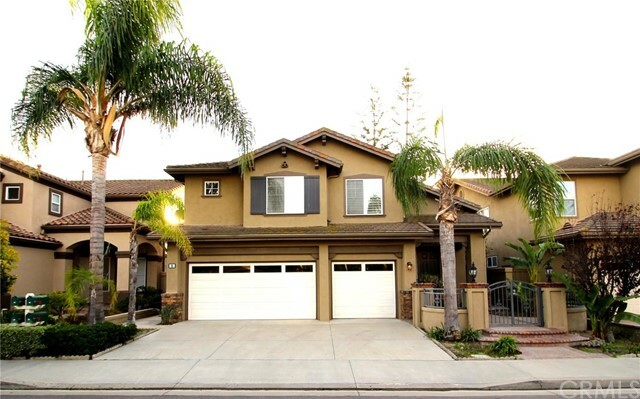 Within proximity of award winning Irvine Districts schools. Easy access to major road and freeways!" 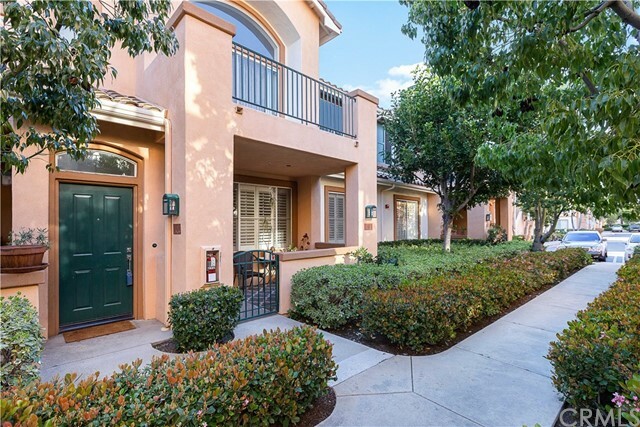 "GORGEOUSLY UPGRADED TOWN HOME IN ELEGANT CORTE BELLA. THREE BEDROOMS UPSTAIRS AND LARGE BONUS ROOM DOWN STAIRS. RECENTLY UPGRADED WITH LIMESTONE, WOOD LOOK IMPORTED ITALIAN PORCELAIN FLOORING IN LIVING & DINING ROOM AS WELL AS UPSTAIRS ROOMS. NEWER SAMSUNG STAINLESS STEEL RANGE, MICROWAVE & DISHWASHER. S/S KITCHEN AID REFRIGERATOR INCLUDED. VAULTED AND EXPANSIVE CEILINGS THROUGHOUT WITH SKYLIGHTS, MAKING THIS HOME EXCEPTIONALLY LIGHT AND BRIGHT. COZY FIREPLACE IN LIVING ROOM AND ALSO IN MAIN BEDROOM/BATHROOM. RECESSED LIGHTING, AND CUSTOM LIGHT FIXTURES. HAND PAINTED SCENE ON FAMILY ROOM WALL ADD AMBIANCE TO THE ELEGANCE OF THIS HOME. DOWNSTAIRS BONUS ROOM/THEATER OR 4TH BEDROOM HAS ITS OWN ENTRANCE. WASHER /DRYER IS INCLUDED. GATED COMMUNITY WITH POOL & SPA. VERY CENTRALLY LOCATED AND CLOSE TO SCHOOLS (UNIVERSITY HIGH SCHOOL DESIGNATED) PARKS, RESTAURANTS, GAS STATION, SUPERMARKETS, SHOPPING & CINEMA'S." "Beautiful, Quiet & Private Single Story Home in Desirable Westpark Location. This Rare Home also has an Area at Front of Home which is Perfect & Safe for Families to Play & Have Fun (3rd Bedroom is Currently being used as a Den and can be Easily Converted to 3rd Bedroom). Spectacular Open Floor Plan with Amazing Vaulted Ceilings is Perfect for Family Gatherings & Entertaining. Lovely Remodeled Gourmet Kitchen has Euro White Cabinets, Recessed Lighting & Granite Counters. Gorgeous Spacious Living Room with Gas Fireplace, Vaulted Ceilings, Plantation Shutters, Ceiling Fan, Built-ins & Entertainment Niche. Relaxing Master Suite has High Ceilings, Plantation Shutters, Ceiling Fan, Bamboo Flooring & Custom Organized Closet. Master Bathroom Features Dual Sink Vanity, Large Vanity Mirror & Soaker Tub. 2-car Attached Direct Access Garage with Custom Cabinets is Perfect for Extra Storage. Spacious, Upgraded, Landscaped Backyard with Water Fountain, Enlarged Custom Slate Patio & Patio Cover. Other Features Include: New Paint Throughout, Chimney Wall was Enlarged, Mirrored Sliding Closet Door in 2nd Bedroom, Plantation Shutters Throughout, Tile & Bamboo Flooring Throughout, Ceiling Fan in Dining Area & Custom Organized closets. Sparkling Association Amenities Include Pools, Spas, Tennis Courts and so Much More! Close to Great Irvine Schools including UCI Irvine, Minutes Away from Fine Dining, Shopping, Entertainment & Recreation Destinations. Don t Miss Out on this Amazing Home!" "Corte Bella is a gated community. This lovely home offers 3 bedrooms & 2.5 baths with carpet flooring Custom Marble fireplace in living room with wood flooring. Kitchen features modern appliances & breakfast bar which opens to family room. Master suite features high ceilings with custom drawer, walk-in closet, duel sink, separate shower & large tub. Window with wooden shutters throughout the house. Pool, Spa, BBQ Outside Area. Association fees included, Landscaping and Maintenance, Termite Control, Fire and Hazard Insurance. Irvine Unified Schools. You will also get access to Westpark HOA that includes tennis courts, parks and playgrounds. Attached garage with basement/storage room. Refrigerator, Washer and Dryer included!!!" 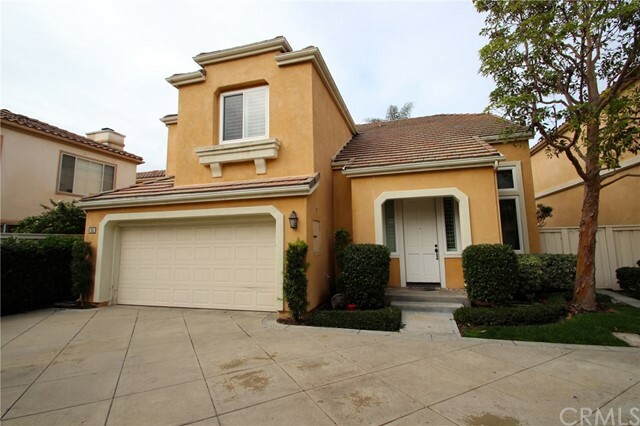 "Must See this Beautiful Home in one of the BEST LOCATIONS of West Park Irvine! Features include OPEN FLOOR PLAN, ATTACHED TWO CAR GARAGE WITH EPOXY PAINT, TONS OF NATURAL LIGHTS, and SOARING VAULTED CEILINGS. You will be greeted with a BRIGHT and CHEERFUL home where you can enjoy a spacious living room with a fireplace and an entertainment center that will lead you to a large balcony. Features include a gorgeous kitchen with Granite counter tops, Custom backsplash, Stainless steel appliances, and Neutral painting throughout. As you move forward, you will see two cozy, bright bedrooms. The Master suite has a walk in closet, crown molding, fan and direct access to the balcony with a beautifully remodeled bathroom that has dual vanity, granite counter top and large tiled shower. This quite and friendly community offers you access to pool, spa, parks, and tennis court. Minutes away from freeways, shopping centers, dining, entertainment and Award Winning Irvine Schools. Don't miss out on this fantastic property!!!"